During my recent giveaway here on the blog, some of you let me know that you’d LOVE to get in on more giveaways! If that was you, be sure to check out Amazon Giveaways for some easy-to-enter giveaways. 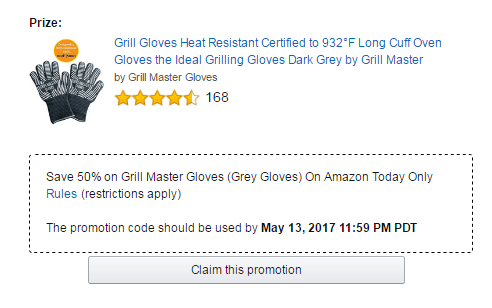 Every day companies run giveaways to promote their products on Amazon. As of today, there are 885 giveaways active on the Amazon Giveaways page. On the main giveaway page, you’ll find the requirement to enter within each giveaway listing. The requirements to enter range from just clicking a button, to watching a YouTube Video, to tweeting out a pre-written message. Even if you don’t win a giveaway, you may get a promo code for significant savings on the product. Hope you enjoy Amazon Giveaways and please leave a comment if you end up winning something! 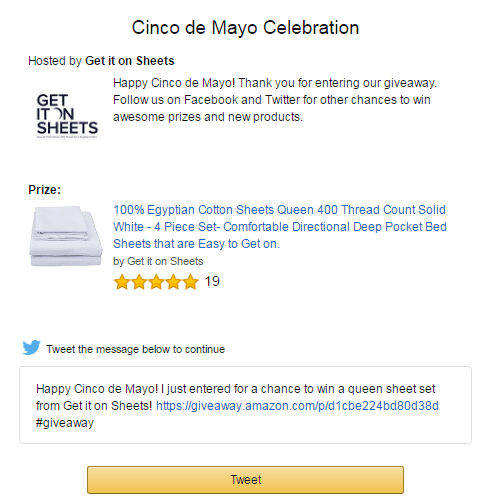 https://Giveawaylist.com has all Amazon Giveaways and they are sortable and you can filter through them for the best possible chance to win. No advertisements or any other useless information just Giveaways. It looks like the link to the giveaway page is broken. I’ve been using http://giveaway.city, which shows a complete list of open Amazon giveaways and lets you filter out the things you don’t want to see. Thanks, Joseph, I fixed the links and checked out Giveaway City. Looks like a useful tool!